In 2016, all light vehicles—from passenger cars to light trucks—had an average lifespan of 11.6 years. That’s 3.2 years more than the lifespan of light vehicles in 1995! What’s even more impressive is how cars now last longer even if Americans are driving more. According to the latest count, the average U.S. motorist now drives a yearly 13,476 miles. That longer lifespan doesn’t apply to the entire vehicle though, especially the tires. Granted, you don’t need to replace the tires as often as you change air filters. But when it’s time to change your car’s tires, you need to replace them without delay. Failure to do so puts you at risk of serious accidents that you could’ve otherwise prevented. Now the question is, how do you tell if it’s time for tire replacement? These seven signs will tell you that you need new rubber! In the U.S., 42 states have a tread requirement of 2/32 inch, or 1.6 mm. In California and Idaho, that drops to 1/32 of an inch. Six other states don’t have any specific law on tread depth. But even if you live in a state where there’s no law, you should still follow the 2/32-inch rule. After all, it’s your safety on the line, as bald tires have reduced grip and traction. The more worn out your tires are, the higher risks you have of slipping on wet or icy roads. Speaking of icy roads, it’s best to swap to winter tires, as these are safer for winter driving. Going back to tread depth, you can use a Lincoln penny to check how much tread you have left. Insert the coin, head-down, into your tire’s tread. If you can’t see the head, you still have enough tread left. But if you see the whole head, you need a tire change ASAP. Even if your tires still have enough tread, make sure you check their manufacturing date too. Some automakers, like Ford and Toyota, recommend tire replacement after six years. That’s whether you use your car every day or only during the weekends. Most car service manuals have specifics on the recommended age for changing tires. If yours doesn’t, check your tires for the name of the manufacturer. Some tire manufacturers, such as Bridgestone, recommend a tire change after 10 years. Excessive wearing on any area of the tire raises your odds of getting flats. This also causes tire instability, leading to poor handling, cornering, and braking. So, check your tires for areas that appear balder or more worn that the rest. 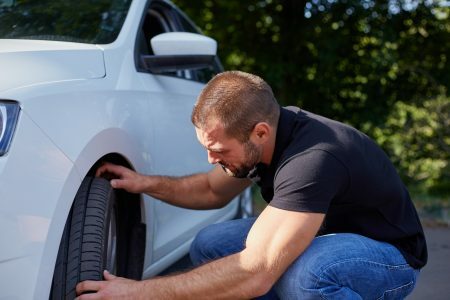 If you notice any of these symptoms, take those as signs to change your tires. 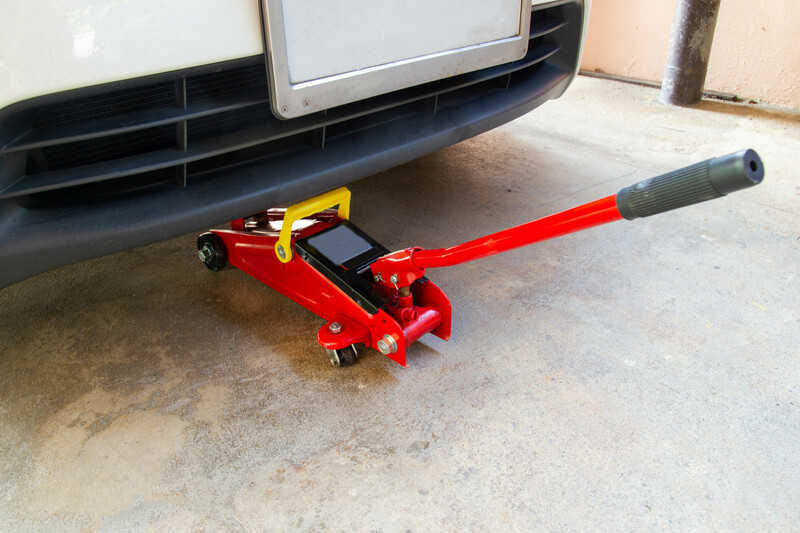 Uneven tire wear can also signal incorrect tire pressure (either overinflation or underinflation). 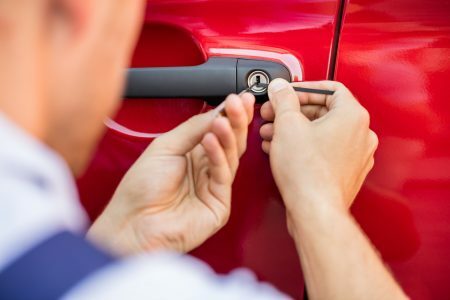 If you’re unsure of the recommended tire pressure, check the inside of your driver’s door. There should be a sticker there detailing tire pressure recommendations. If there’s none, you’re sure to find it in your owner’s manual. But what causes overinflation or underinflation in the first place? 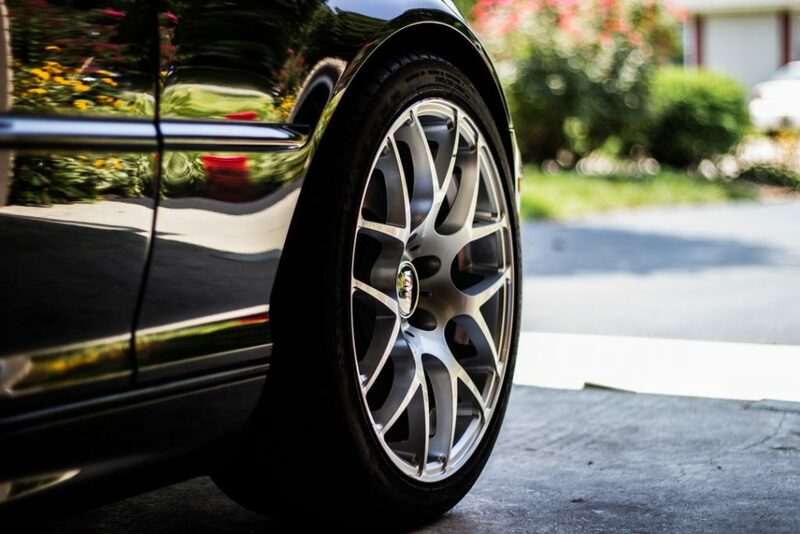 Tire punctures and leaking valve stems can cause a drop in your tire’s air pressure. Parking or storing your car outside in either hot or cold weather is another reason. In high temperatures, the air inside the tires expands, leading to overinflation. In low temperatures, the air inside your tires contract, resulting in underinflation. That said, it’s best to always go for indoor parking, especially in places with extreme weather. If you don’t have your own garage, there are parking management services you can take advantage of. You may want to check out Kenzie’s for more info on indoor parking. But if improper tire pressure has become a constant issue, it may be time for you to switch tires. Bulging or bubbling in tire sidewalls often signal internal tire damage. 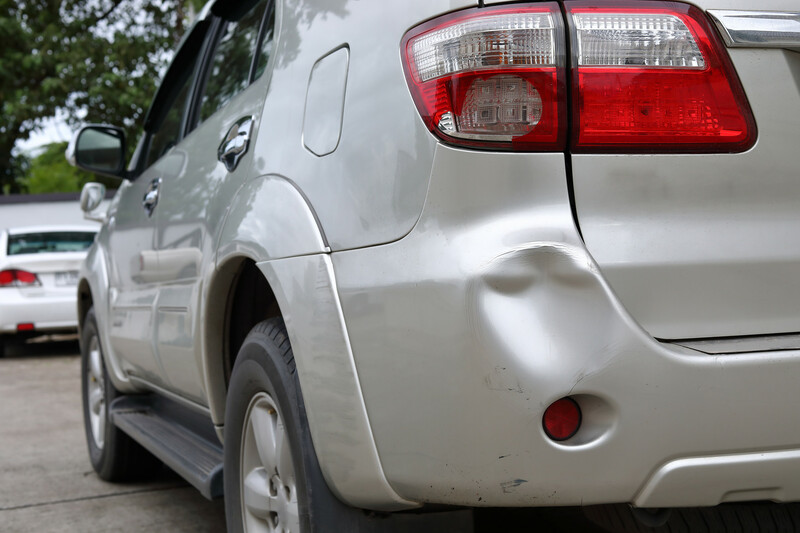 This can be a crack in the internal frame, which driving with underinflated tires can cause. Driving over huge potholes can also cause such damages. Either way, a cracked internal frame allows air pressure to reach the tire’s outer layers. This air leak then causes the sidewalls to bulge out or bubble up. If your tires exhibit these symptoms, a new tire change is in order ASAP. Keep driving on such tires, and you can experience a sudden, deadly blowout on the highway. If you’ve noticed tiny cracks on your tires, those are what you call dry rot and they’re often a sign you need new tires. These appear when the rubber is already breaking down and falling apart. When this happens, the rubber can become too loose and already separate from the tire’s steel belt. So, the next time you give your ride a thorough washing, check the tires for these cracks. If you see a lot of them, bring your car to the mechanic for a new set of tires. This may come as a shocker, but the state of your tires can actually affect your mileage. In fact, underinflated tires on standard 20 mpg vehicles can consume up to 2% more fuel. 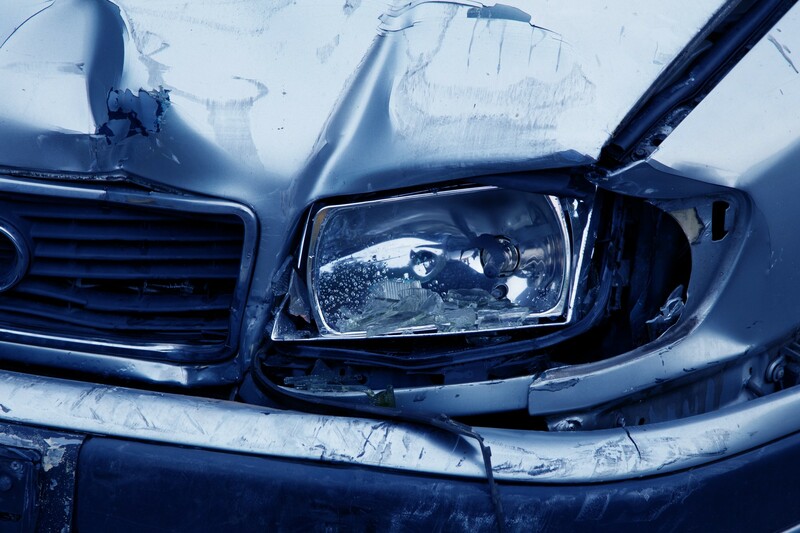 Every year, 2.35 million Americans get injured or disabled because of road crashes. Many of these were preventable, such as making sure they had properly-inflated tires. That said, if you notice any of the above-mentioned signs, then it’s time to change your car’s tires. And don’t delay getting them replaced! Remember, it’s not only your safety and life on the line, but also the well-being of millions of other road users. Looking for even more car maintenance hacks that’ll make your ride last more than 200,000 miles? Then be sure to use our ultimate vehicle maintenance checklist!